Last summer I had 3 people contact me from different organisations regarding the fact that we have only one wheelchair accessible taxi licensed in the Stroud area (now there are two!). A county-wide organisation of people with a learning disability based in Stroud highlighted a problem faced by one of their directors being unable to attend meetings due to the lack of availability of a wheelchair accessible taxi. Another individual from a carers group said the same and another organisation told me about a young woman wanting to go to a party just 3 miles away - she ended up paying £80 for a taxi from Gloucester. Well I met with those organisations and the District Council - it is extraordinary how limited powers are and what little can really be done by local authorities - it is not the first time I have moaned that the UK is the most centralised democracy in the Western world with far, far too few powers to affect change. Locally our Council investigated what our neighbouring authorities were doing - indeed officers were fantastic at trying to seek a way forward. Well as a start, while we wait for Government news, the Committee this evening discussed waivering 50% of the application and renewal fees for a year. I did make a bid for this to be 100% as it is only a matter of hundreds of pounds - that was rejected by councillors on the committee but my plea for a review in a year was accepted and there was general agreement that we need to do more. I also made a plea for training for drivers - this is an issue that has also been raised with me by some transport users - although many also describe the wonderful support and help from many drivers.....apparently GCC is already doing some of this so I will investigate further as it is key that disabled people are involved in saying what that should be and possibly helping to deliver. 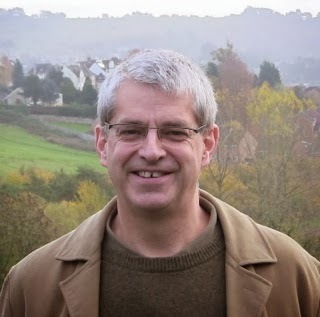 Anyway I am just off to Green Drinks in Stroud at the Ale House - a monthly gathering of greens to talk about anything - not just Green Party but a wider invite.....come along too!